Researchers at the University of Maryland School of Medicine in Baltimore are studying to see if meditation helps sufferers of the autoimmune disorder, which affects about 2.1 million Americans, mostly women. Those with the disease often have general fatigue, soreness, stiffness and aches at first. Joints may swell and become damaged over time. Groups of rheumatoid arthritis patients are being trained in “mindfulness,’’ a form of stress reduction meditation developed 30 years ago at the University of Massachusetts. 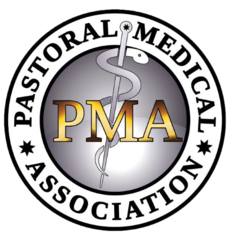 Their progress is being compared to patients not in the program. 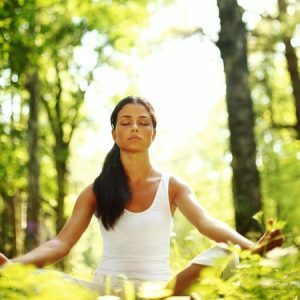 Mindfulness is similar to many meditation techniques. Participants are taught to focus on breathing to quiet the mind and become aware of the moment. The method has been used successfully to help patients with chronic pain from a variety of conditions, but this marks the first time it is being studied to see if it can help the physical and psychological symptoms of rheumatoid arthritis patients. Participants are taught to quiet their mind and feel more connected to their body. The results were very positive as one of the participants said meditation has made her symptoms less severe, helping relieve stress that she said made the condition worse. “With this type of approach, you learn to acknowledge you have pain and, by realizing it and by being in this relaxed state, the pain is less,’’ she said. When we learn and train ourselves to still the mind, stop the never ending chatter, this is when we can truly begin to hear the voice of God who speaks to the heart. Why the heart? Because your mind is too full. Full of the world system of facts, words of men, opinions, attitudes, beliefs, and lies. Once you can train yourself to stop thinking and start listening to the inner voice, which is God speaking to your heart, a whole new world will being to open up for you. You will start to receive answers to questions and solve problems with God’s direction and guidance instead of your old mind calculating probabilities and giving you a pro vs. con conversation. A powerful Truth you always want to remember is this: God’s ways are not man’s ways. His words are not man’s words. Decisions made out of fear are of the mind. Decisions made out of peace are from God placing that peace in your heart. Follow the peace of your heart as you still your mind everyday and you will see that everyday will be an awesome day. “When you seek me you will find me when you seek me with all of your heart. This topic is powerfully covered in the How to Know You Are Healed audiotape series. Today we will explain what communion with God is. This is the most awesome function of our spirit, it is the part that talks and listens to God. It is the part that communes with Him, our creator and sustainer. This intimate communication line was interrupted when Adam broke the original covenant partnership with God by eating from the tree of the knowledge of good and evil. From this broken covenant – humankind empowered the lie-filled mind to rule their beings. They quenched the Truth-filled heart/spirit (the knowing in the heart) and enthroned the mind (the knowledge of the mind which is based in the lie). Then God in His infinite love and wisdom made the Way, so the communication line could be permanently restored. This was a new and everlasting and unbreakable covenant that would be made between Himself, His Son, and all human beings. This covenant is entered into when you recognize, have the consciousness/awareness of the Truth, that you cannot live life from your lie-filled old mind but instead must live from your Truth-filled heart/spirit. When you ask the Living God into your heart in essence you are saying “NO” to the world, ego, flesh, lie-filled old mind and “YES” to the Truth-filled heart where God lives. This is grace, which is another powerful covenant word which means “I am personally entering into a covenant with the Living God, I will do all that He places in my heart, with all my strength and ability no matter what the outcome, because I know in my heart that when I give all that I have in following my Truth-filled heart, He (the Living God), my covenant partner will meet me with all that He IS to carry the action steps to completion. When I enter this covenant, I have committed my life to following only my Truth-filled heart and not my lie-filled old mind. I will follow this Truth no matter what the outcome, no matter what it costs me – even if I have to put everything I have ever been taught or learned to death with my old knowledge lie-filled mind, even if it costs me my physical life, because I know, that I know, that I know when I live a life solely from a Truth-filled heart I will be blessed with ALL the covenant blessings my covenant partner (the Living God) is just waiting to pour upon me – so much so that I cannot even think or imagine. When I enter this covenant relationship I realize that I am committing my body, my mind, and my spirit to following the Truth placed in my heart. I will follow this Truth never quitting, stopping, or giving up, no matter what the price demands. I also realize that if I choose to go back into the thinking of the world, ego, flesh, religion, time past, time future or physical bound old mind, I am breaking the covenant, I am voiding the covenant of its power to bless me with ALL God’s love, joy, peace, and hope. I realize that I have become one with the Living God, I am His body, He is my Spirit, we are one in every way and I will do and be all that He has placed in my heart – for all eternity. 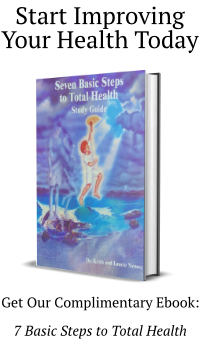 Learn more on this topic in the Seven Basic Steps to Total Health™, Seven Stages of Energetic Healing and the How to Know You are Healed audio series.